Give the number of unpaired electrons present in a ground-state atom of Fe. Give the number of unpaired electrons present in a ground-state atom of S.
Give the number of unpaired electrons present in a ground-state atom of Fe2+. Give the number of unpaired electrons present in a ground-state atom of Se2- . Which electron configuration represents the most highly excited state of C? Write the electron configuration of the copper atom and the 2+ cation of copper. Check the correct choices. In the reaction of lithium with oxygen, what expected compound is formed? If the compound is written LixOy, what is x+y? For example, water is H2O. In this case x =2, y = 1, and you write 3 in the space provided for the answer. Write the equation for the reaction, if any, of lithium with nitrogen. If there is a reaction forming LixNy, what is x+y? Write the electron configuration of the alkali metal (M) that reacts with oxygen to yield an oxide, M2O, if 1.22 g of the metal reacts with 1.41 g of oxygen to form 2.63 g of the oxide. In the reaction of iron and chlorine, what mass of iron is needed to prepare 22.97 g of the iron chloride product if, under the conditions of the reaction, the electron configuration of the iron cation in the product is 1s22s22p63s23p63d6? Using only a periodic table as a guide, arrange each of the following series of atoms in order of increasing size. Using only a periodic table as a guide, arrange each of the following series of species in order of increasing size. Indicate which species in each pair has the higher ionization energy. 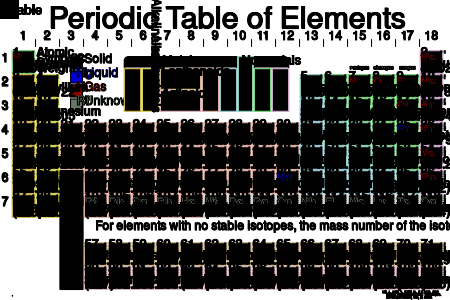 Using only a periodic table as a guide, arrange each of the following series of species in order of increasing first ionization energy. Which ground-state electron configuration represents the element with the largest size? The electron configuration with least amount of electrons has the largest size. As the number of electrons increases the attraction toward the nucleus increases causing the atom size to become smaller. Which ground-state electron configuration represents the element with the smallest ionization energy? The electron configuration with least amount of electrons has the largest size. Therefore it is requires the least amount of ionization energy to remove an electron because it is least closest to the nucleus. Which ground-state electron configuration represents the element with the most negative electron affinity? Electron affinity generally becomes more negative (adding an electron becomes more exothermic) as we move to the right across a period (row) in the periodic table. Arrange the elements lithium, carbon, and oxygen in order of increasing size. Arrange the elements lithium, carbon, and oxygen in order of increasing first ionization energy. Arrange the elements lithium, carbon, and oxygen in order of increasing second ionization energy. count the ionization energy by the number the elements prior to the select element. Write the equation for the reaction, if any, of lithium with water. What products are formed? Which of the following reactions produce H2 gas? Hint, determine the molecular weight of the metal. In the reaction of iron and chlorine, what mass of iron is needed to prepare 3.85 g of the iron chloride product if, under the conditions of the reaction, the electron configuration of the iron cation in the product is 1s22s22p63s23p63d6? Procedure: (1) Determine what the iron chloride is. (2) Go from grams iron chloride to moles of iron chloride to moles Fe to grams Fe. 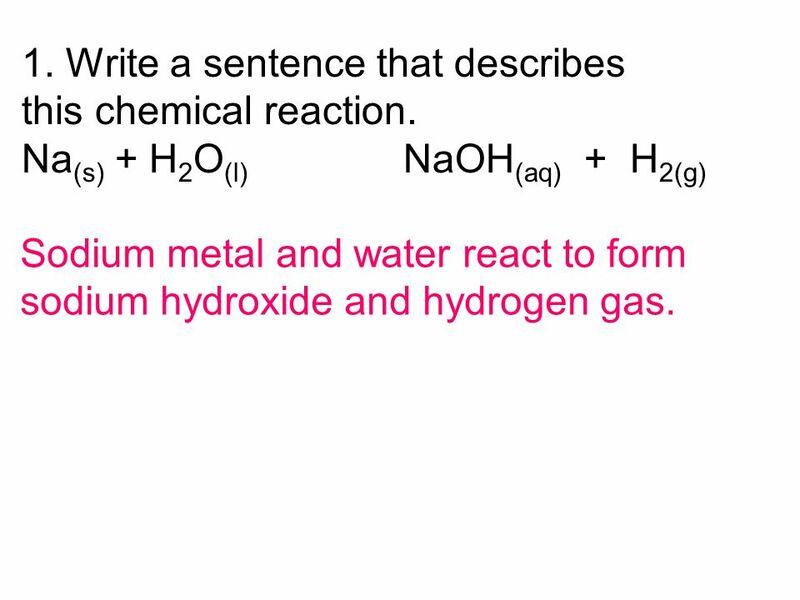 Which of the following reactions produce a basic solution (the hydroxide ion)? Which of the following reactions produces iron, the metal? Which of the following reactions produces chlorine gas? Match oxides with correct property.